My friend and I had babies around the same time. During a visit, about the time the babies were 5 weeks old, she showed me this stunning slideshow of precious newborn and family portraits. 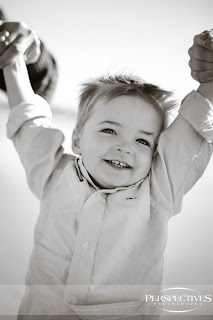 That day I started calling photographers - panicked my baby would grow up too fast! We all spent way too much money on wedding portraits. You'll look at newborn portraits even more than your wedding pictures - and they're an even better gift for grandparents! Most photographers will come to your house - it's easy to make a weekday, noon-time appointment when you're on maternity leave (dad can come home during lunch). You'll have time for several outfit changes including the requisite picture of the baby in their birthday suit. It's a reason for you to get dressed and brush your hair, so you won't look haggard in every picture you have! Good photographers will pull in elements from your environment that are unique and special to you - an aspect of your nursery, a handmade blanket, etc. It will be some of the best money you've ever spent. There are hundreds of excellent photographers in Boston. Wedding photographers are a good place to start, as most also do portraits. I can personally vouch for Cordele Photography, Strut Photography, and Perspectives Photography. All have great professionalism and an amazing ability to capture a fleeting newborn smile. I recently had a maternity session with Liz Linder and it was amazing! She was wonderful to work with and the photos are fantastic, I can't wait for the newborn session! I spent a lot of time looking around for a portrait photographer who would take timeless and tasteful portraits of my family and she really is a cut above the rest. Check her work out at www.lizlinder.com. She offers a maternity/newborn package.